You can use exfoliation to get a perfect skin, which is a process of scrubbing your skin in order to remove dead skin cells, impurities and excess oil. Doing it correctly is essential so you can actually have a smooth, glowing and perfect skin. This article will explain how to do it properly. Before you begin scrubbing your skin, first learn what type of skin you have whether it is oily or dry skin. Decide which parts of your body you will choose to exfoliate because the products and tools you will use to exfoliate different parts of your body may be different. I can understand it may be a pain to know all the factors before starting to exfoliate your skin, but trust me, the results are well worth the effort to get that perfect skin you always wanted. Our world is bombarded with skin care products and to know which one is best for your skin type can be daunting. For a healthier alternative, use all-natural ingredients. They are cheap, easier to produce, but most importantly, they are more potent and effective when applied to the skin. Mix honey and sugar together. The sugar will remove dead skin cells while the honey will moisturize your skin. There are different tools you can use during the exfoliation process, but we recommend using speciality exfoliation brushes. Now that you know what to use to exfoliate your skin, how do you actually do it to get that perfect skin? Well, the best time to exfoliate your skin is in the morning when you wake up. This is because we normally wake up with a lot of dead skin cells because our skin goes through a process of repairing itself while we sleep. Before hitting the shower, start scrubbing your body with an exfoliation brush. Start from the bottom of your feet going upwards to the top of your head. After this dry scrubbing with the brush, get in the shower and start hydrating your skin with your mixed honey and sugar. Gently massage them into your body in circular motion for 30 seconds. We understand that the purpose is to scrub away the dead cells, but massaging your body gently is all that is needed to achieve successful results for that glowing and perfect skin effect. Towards the end, rinse your body with warm water. DO NOT use hot water as this can damage healthy skin cells. Depending on what type of skin you have, you may want to repeat this process one to three times per week. Exfoliation should not be overdone otherwise it can damage your skin. If you have normal skin, exfoliating two times per week is enough to remove dead skin cells. If you have oily skin, exfoliating should be done at least three times per week because the excess oil traps more dead skin cells, clogging pores. If you have dry skin, you should be very careful before exfoliating your skin because it can actually take away the moisture on your skin. Exfoliating once a week is more than enough if you have dry skin, and you should keep alert to moisturize your skin back in case you have lost it due to exfoliating. In conclusion, we cannot stress enough the importance of exfoliating as it is a simple step to start getting that perfect skin that you very well deserve. Although this article talks about exfoliating as key step, the truth of the matter is that it is only one part of the whole process of having a beautiful and perfect skin. 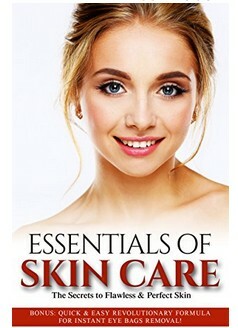 The ebook, Skin Care: Essentials of Skin Care - The Secrets to Flawless & Perfect Skin is where you will discover all of the steps to have a clearer, younger and more beautiful skin. Be sure to get yourself a copy of the ebook as it will literally unzip all of the information about having a better skin for yourself. The ultimate basketball shoe for the ultimate player. The Air Jordan 14 Retro Low returns after its original debut back in 1999. Its construction was remastered with exceptional cushioning, stability, comfort and fit. Check Price and Availability Here. It is true that with Solo Build It! (SBI!) 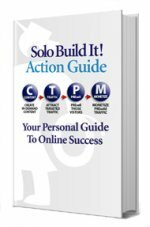 you get a suite of built-in tools to build your online business. It is also true that you also get a friendly, help-and-be-helped forums. Undeniable true that it will also keep you up-to-date with what matters, removing all the fluff and only keeping what is important. But the secret weapon of SBI! is its Action Guide. It is the heart of it all eliminating you the need to figure everything out. Go there to find out more. Click here to get FREE access to videos of real-life people like myself and others that build websites like this one to earn money online.